Keep your #zen on all day long with #malabeads . We're digging the #traditional #rudrakshabead style with colorful bursts of #honeyopal and #agate from #malacollective . 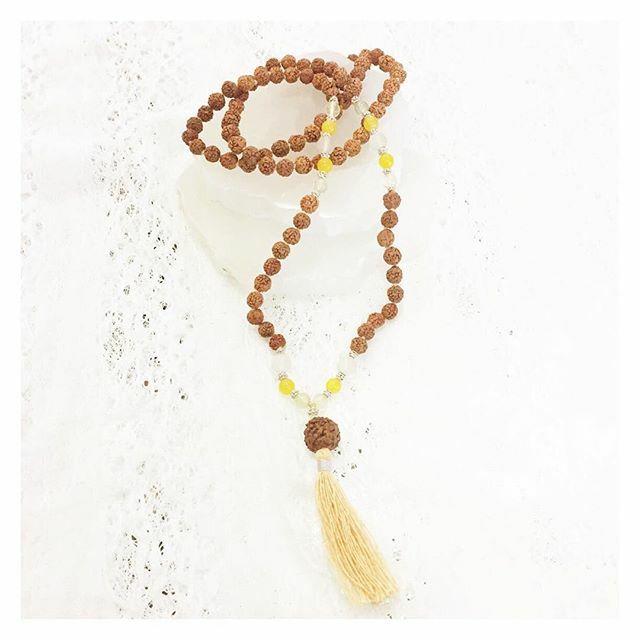 The #frangipani #mala has us dreaming of #tropical escapes during these winter months!